Welcome to LOW COST Pensacola Computer Repairs! Computer For Sale Click Here! Remote Support Software"Computer Repair Remotely over the internet"
Replace Cracked LCD screens "Pensacola Laptop Screen Repair"
Generally, we can perform same day or one day turnaround on repairs and the machines are not sent off-site. We perform our computer service in house. Run slow and seem bogged up? Have The Blue Screen of Death "BSOD" ? Have a broken or cracked Laptop LCD / LED Screen? Have a fuzzy, distorted or blank LCD Display? Need Data back up solution? Need its Hard Drive cloned? Need a Solid State Drive "SSD" Upgrade? Not booting/starting up at all? 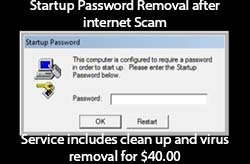 Contain viruses, spyware and/or programs you no longer use? Need critical Windows updates and manufacturer drivers installed? Need General repairs or upgrades? Have Programs that close sporadically and unexpectedly, often with errors? Need a complete overhaul and cleaning of internal components? Need to connect to the internet or be set-up to have a wireless connection? Have important data that needs to be recovered? Turn on but does not display on the screen? Turn on and keeps beeping? Have a password that is locking you out? Desktop have a bad power supply? Laptop need a new power cord, or Charger? Laptop need a new battery? Laptop have a broken DC jack? To provide Fast, Efficient and Quality work to Minimize your Down-Time! If no parts are needed, most computers are diagnosed while you wait! 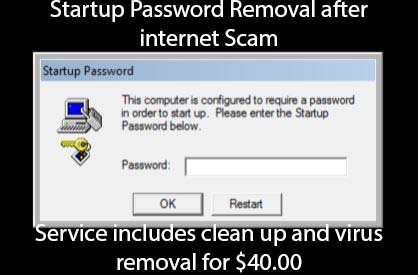 Get your Computer running and looking like New! To make you a happy customer, and save you money! And remember, we're experts in saving you money! Most of the time, you can save up to 90% fixing your laptop or PC computer instead of buying a new one! 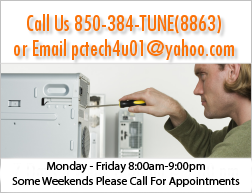 So Let Low Cost Computer Repairs Pensacola be your first choice on all computer repairs and upgrades. PC Repair - We work on all the name brands and custom built PCs. We can get your machine running like new again. Laptop Repair - Screen replacements, HP DV2000, DV6000, and DV9000 series laptops that do not display to the screen, and more common laptop problems. We Proudly Serve Great Pensacola Area! Drop Off Services Include: Computer Repair Virus & Spyware Removal Hardware Problems Software Conflicts New Computer Setup Performance Upgrades System Optimization Operating System Restoration And More...Call for details! On-site Services Include: Network Design & Implementation Data and Telephony Cabling Adds, Moves Online Data Backups & Transfers Server Installation & Maintenance And More...Call for details!